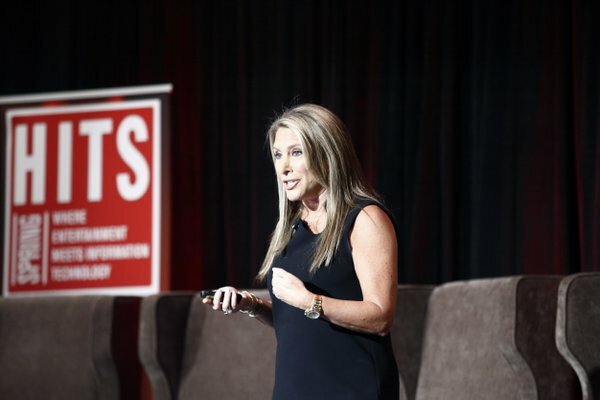 Collaboration is the key to success in the technology industry and other business sectors, as well as to achieving true gender equality, Shelley Zalis, CEO and founder of The Girls’ Lounge, said May 25 at the packed Hollywood IT Society’s (HITS) “Holly-wired: Where IT and Entertainment Meet” conference in Los Angeles. And that collaboration to achieve gender equality must be between men and women, stressed Zalis, whose group is out to advance the interests of women in the business world. There’s been a lot of talk about female empowerment and girl power. But progress and “transformation will not happen without men and women together,” said Zalis, adding that “this is not a female conversation … we are better together.” That’s because gender equality is “not a female issue” — it’s a “social, political and economic issue,” she said. What’s more, the more that we keep making it a female or race issue, the more we just contribute to the gender gap, she said. Citing recent data from the World Economic Forum, she said the U.S. is headed backwards when it comes to gender equality while nations including Rwanda are advancing. While Rwanda was sixth globally in advancing women in their country, the U.S. tumbled to No. 28 from No. 21, she said. Rwanda was also first globally in having the most women in senior level positions of government, compared to an 80th-place showing for the U.S., she said. At least part of the problem is that, in the U.S., “we are talking about what we’re going to do and we’re actually not activating the changes and the solutions to make progress move forward,” she said. We need to create “next-step solutions towards change,” she said at the conference. Women and men are different, of course, but there is no reason why businesses can’t take advantage of the traditional characteristics that make up both male and female archetypes, she said. Being passionate, empathetic, collaborative and nurturing — all traditionally female characteristics — are all positive attributes to have in the business world, she said. What businesses should be doing is figuring out how to “get more caregivers to the top,” she said. “There’s even less feminine archetypes in the tech industry and we need that” diversity there, she said. “Diversity is great for business. Diversity is great for innovation. Diversity is great for collaboration. And yet it’s still the boys club” by and large in the tech sector, she said. And the problem starts early on for females who want to enter the science or technology sectors, she said. It’s “intimidating” for girls when they are in a science, technology, engineering and math (STEM) class at school and it’s almost all boys, she said. “This is a really big problem,” adding we need to encourage more females to enter the tech industry and the tech industry needs to work hard to retain them once they’re in it. It’s a “cultural conversation that we need to have” in the U.S., she said. “The sad part is if we don’t change the game it will take more than 118 years to close the gap” between men and women in the workplace, she warned. But it also means there’s an opportunity to bring more than $4.3 trillion to the U.S. gross domestic product by 2025 if we can start making progress in achieving gender equality, she said. Men need better coaching on how to handle gender equality, while women need to stop worrying about whether they’re called women or girls, she also said. “Who the [expletive] cares what we’re called?” she asked, garnering applause from attendees. Women also need to be bold and not be afraid to take chances and seek collaboration with their female peers. “If you don’t take that first step and collaborate and bring this posse with you nothing will happen,” she said. The Girls Lounge campaigned to get a woman on the front of the U.S. $10 bill. Although it wound up being the $20 bill instead, the group’s effort to get a woman on the front of the bill and not the back proved successful. After starting a #NotGoingBack campaign on Twitter, more than 300 million impressions were generated in 72 hours, said Zalis. One corporation alone making changes to achieve gender equality won’t work, she said, stressing how important it is for everybody to work together to advance gender equality. “When passion meets purpose we are unstoppable,” she concluded. Prior to introducing Zalis, Nadya Ichinomiya, co-founder of Women in Technology: Hollywood (WiTH), said she saw optimistic signs at the HITS conference. There’s a line at the women’s bathroom, she pointed out, calling that a “breakthrough” for a technology conference. Another breakthrough was the fact that there was a woman on most of the panels. Making her own call for diversity in the workplace, Ichinomiya compared the business sector to an individual’s stock portfolio. It is “absurd” to only have stock in one company, even if it’s a great stock, because that strategy is just too risky, said Ichinomiya, who is also director of information technology, television marketing and research at Sony Pictures Entertainment. When picking members of a corporate team, people tend to all too often select “the usual suspects” — in other words, only men because that’s what worked in the past, she said, calling on business executives to not keep looking to the past to solve problems. “The problems that are coming at us from the future need to be solved by the future, which means a blank slate” is needed now, she said. That requires “pioneering” and “innovation,” but it’s “the only way that this industry is going to continue to survive,” she said.